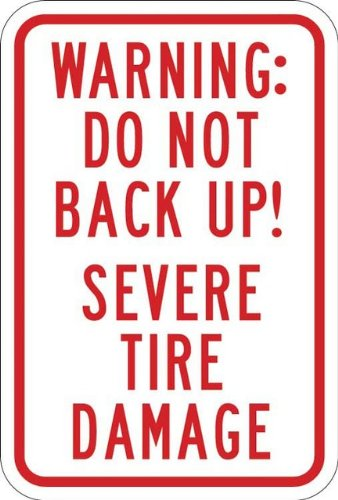 Warning signs and traffic signals are used with traffic control spikes and auto-spikes to inform vehicle operators that a one side of the road has traffic spikes installed and that proceeding in the wrong direction, or before the spikes are fully retracted, will result in severe tire damage. Warning signs and/or traffic signals should always be used in any traffic control situation utilizing traffic control spikes. It is extremely important to display Warning Signs when using Traffic Control Spikes to avoid unneccesary vehicle damage. This warning sign red lettering lets drivers know they need to stop for some reason. Keeping drivers aware of Traffic Control Spikes is the key to a safe and effiecient highway or road.